A London private hire driver working on the Uber platform was deemed not to have been plying-for-hire in Reading despite picking up in the Uber-free licensed authority. Judge Emma Arbuthnot, the same judge that awarded the controversial minicab firm a 15-month reprieve to its London operators licence just last month, found the vehicle not to have a “distinctive appearance” and that the TfL roundels “were not of such prominence that it could be said that there was something on the vehicle which cried out I am for hire”. Reading Council brought the test case against Uber driver Mudassar Ali who held only a Transport for London licence rather than the local authority licence. Uber are not licensed in Reading either. The council argued that the American based firm did not hold a licence in Reading and had created a market by plying for hire via its app in their authority. Charles Holland QC representing Reading added that without advertising the vehicles availability there would be no market in the area stated . Philip Kolvin QC representing Mr Ali and Uber pointed out that the drivers services could only be booked by a member of the public who had downloaded the Uber Rider App and then entered into a private hire booking through the App. 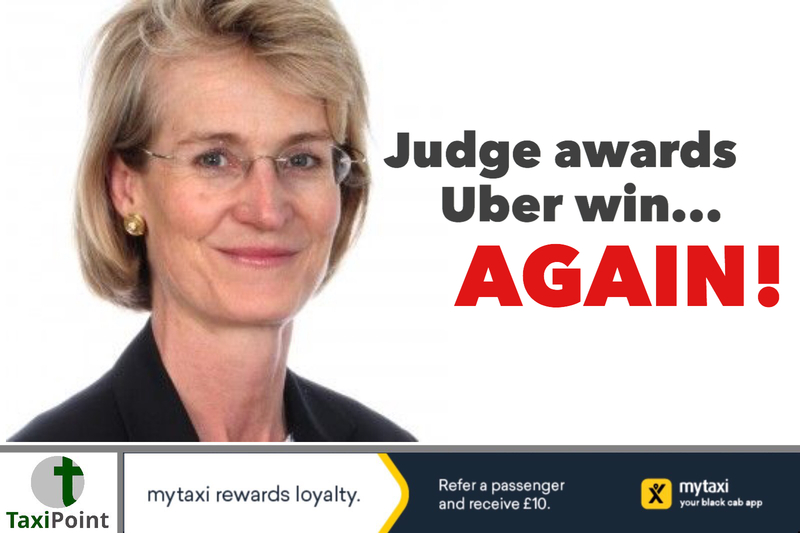 Judge Emma Arbuthnot awarded Uber and Mr Ali the case dismissing all charges.